Pseudogout is a type of arthritis in which crystals of calcium phosphate or other chemicals are deposited in the joints. The calcium deposits and inflammation can cause parts of the joints to weaken and break down. Pseudogout occurs most often in older adults, usually those over the age of 60. A single joint is typically affected – most commonly the larger joints, such as the knees, ankles, shoulders, elbows and wrists. Pseudogout results from the formation of calcium phosphate crystals in the cartilage, which is followed by the release of crystals into the joint fluid. This can cause a sudden attack of arthritis, similar to gout. In the case of pseudogout, bits of cartilage may break off and cause additional pain and swelling in the joint. Over time, the cartilage may wear away entirely, resulting in the bones rubbing together. Although the cause of pseudogout in cartilage is unknown, attacks may be triggered by surgery, infection or injury. Pseudogout is often associated with other joint disorders, particularly osteoarthritis. Individuals with pseudogout often have relatives who have also had pseudogout. If the patient has had a recent injury, major illness or surgery to a joint, he or she may also be at greater risk of developing pseudogout. Pseudogout may be the first noted symptom in a few of the metabolic diseases such as disorders of the thyroid and parathyroid glands. The symptoms of pseudogout include sudden and repeated attacks of pain and swelling in a single joint. Stiffness and increased heat may also be experienced. Pseudogout attacks usually come on with no warning. Symptoms may last from several days to a few weeks, and then disappear. Episodes may recur, again without warning, and each time affect a completely different joint, although almost always only one joint at a time. The goal of modern medical treatment is to stop the pain and inflammation associated with initial attacks of pseudogout, and to prevent future attacks. This is approached in several different ways. The first two include joint aspiration and radiology. Joint aspiration involves withdrawing fluid from the affected joint with a needle and syringe to relieve the swelling. The fluid is also analyzed under a microscope to look for calcium pyrophosphate. This method suffers from poor sensitivity, specificity, and inter-operator agreement. Modern medical doctors may also use x-ray technology as a diagnostic tool to locate the calcium containing crystals associated with pseudogout. However, these tools do not always properly diagnose the pain source. Another standard practice of modern medicine is the use of medications. For example, colchicine is used to reduce the pain, swelling and inflammation associated with acute gout and pseudogout attacks. It is also used to prevent recurrent attacks of pseudogout. Steroids and anti-inflammatory medications are also used. NSAIDs can cause stomach bleeding and decreased kidney function. In the long run, these treatments may do more damage than good. Although cortisone shots and anti-inflammatory drugs have been shown to produce short-term pain benefit, both result in long-term loss of function and even more chronic pain by actually inhibiting the healing process of soft tissues and accelerating cartilage degeneration. Another point that many people do not consider is that there is risk of furthered chronic pain, and developing leaky gut syndrome, diabetes, and weight gain. Codeine or other analgesics may also be prescribed for pain relief. In addition, a diet low in purines may also be prescribed. Blood tests can also be utilized to check for thyroid and parathyroid glands issues, as well as the mineral imbalances that have been linked to pseudogout. The problem with this approach is that it does nothing to strengthen the weakened ligaments and cartilage degeneration associated with this condition and, thus, does not alleviate the chronic pain that the afflicted individual is experiencing. 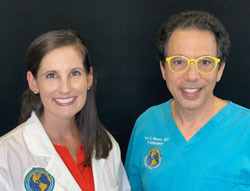 Our preferred approach is to use anti-gout medication along with addressing the problems of metabolic syndrome and osteoarthritis, nutritional supplements for arthritis as well as natural anti-inflammatories to help with soft-tissue healing. 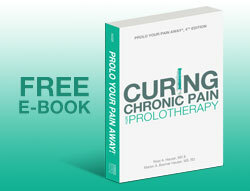 As mentioned previously, standard anti-inflammatories actually hinder healing. This approach is then combined with Prolotherapy to strengthen the damaged, weakened or degenerated joints that are usually affected by pseudogout. 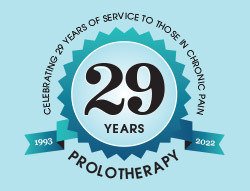 Prolotherapy is a regenerative injection treatment. It does not lead to degeneration, which can occur with steroid use. Instead it is used to stimulate the repair of the damaged, weakened, or degenerated joints, such as the cartilage degeneration caused by pseudogout. 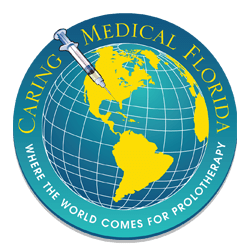 Prolotherapy will boost the blood supply and the production of growth factors which will augment the release of regenerative cells to the damaged joints. These reparative cells will stimulate the regeneration of cartilage in the needed areas of the joint. Comprehensive Prolotherapy involves multiple injections of dextrose-based solution to the various ligament and tendon attachments around the joint, as well as solution inside the joint. This mild, localized inflammatory reaction draws cells to the area to regenerate and repair the degenerated soft tissues in and around the joint affected by pseudogout. Prolotherapy, in combination with nutritional supplements, natural anti-inflammatories, and anti-gout medication effectively eliminates the pain symptoms of pseudogout.